From big shows like our hometown Houston Rodeo and Livestock Show to far-off places like the Maah Daah Hey Stampede in Grassy Butte, ND, the professional rodeo season is well under way — and to be honest, we have a bit of rodeo fever. You see, partner, rodeo has heaps of things in common with marketing. The most obvious one is the sponsor banners you see in almost every arena. Companies — and not just western wear or farm and ranch products — understand the value of marketing their brands to a big audience. Shoot, the Houston rodeo had 1.3 million people attend over the course of its three-week schedule. But we're not here to talk you into a banner of your own at your local rodeo. We actually figured out a few things that we marketers can learn from the entertaining cowboys and cowgirls that command such an impressive audience. Team roping is one of our favorite rodeo competitions because it's all about precision and teamwork. Just in case you're not a rodeo fan: Team roping involves two horse-mounted cowboys attempting to rope the same steer. The first rider ropes the steer's horns, and the other ropes the back legs. It developed from ranchers occasionally needing more than one person to restrain a large animal for various reasons. When you're doing a big marketing campaign that spans several media outlets — say, a campaign that has direct mail pieces, a radio advertisement and a web landing page — there's a certain amount of precision that has to happen between these channels to make it all work. A radio advertisement should appeal to people who listen to radio while a web landing page should appeal to people who can appreciate the use of technology. Just be sure the message is consistent throughout the channels because even though the targets are different, they're still focused on the same steer. Most rodeo events are all about finishing as quickly as possible, and barrel racing is no exception. 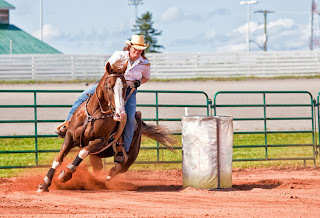 Barrel racing features horse-mounted riders rounding a triangle of barrels as fast as they can. 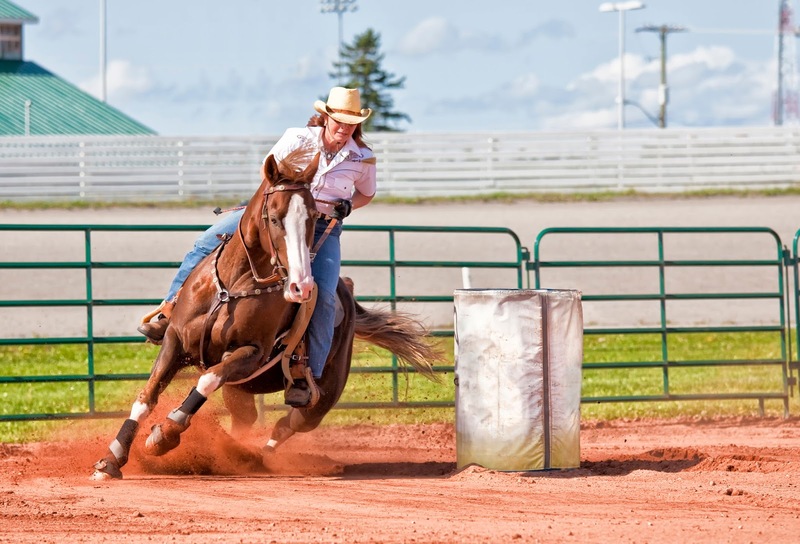 While the rules dictate that the cowgirls must ride in a cloverleaf pattern, the riders can approach the barrels at any angle and as closely as they're comfortable, which can affect their efficiency and speed. Likewise, you should be in a position to adjust your marketing campaigns once they've launched so that you're not continually producing ineffective materials. You can see how your campaigns are performing by applying unique toll-free numbers to different campaign materials and tracking the resulting calls. If a portion of a campaign isn't performing to expectations, adjust your approach to make sure you're rounding up leads as quickly as possible. Eight seconds might sound like no big deal, but it's definitely a big deal when you're gripping a rope with one hand and being flung in every direction by a big, angry bull. Bull riding is one of the rough stock events of rodeo — meaning riders aren't trying to beat a time, they're just trying to hang on for eight seconds (which is harder than it sounds). According to Professional Bull Riders, the top 10 active bulls buck off riders in an average of just 3.5 seconds — a relative eternity from the eight seconds needed. They also buck off riders 87 percent of the time. In bull riding, failing is the norm. Riding a bull is a bit like launching a social media campaign. The content cycle on social media is rapid, so if something you produced doesn't get noticed pretty quickly, you'll be knocked off and forgotten. Your content has to flex the right muscles to hang on for the long haul. In the meantime, you're going to fall a few times. The important thing is to learn from the posts that stumble and make sure you're producing content that pulls in big scores. Speaking of scores, did you know this year's NFL Draft is coming up? If you're a football lover, check out our post "Go Deep and Score the Game Winner with Your Marketing."